There’s always pressure to do more with the resources you have. 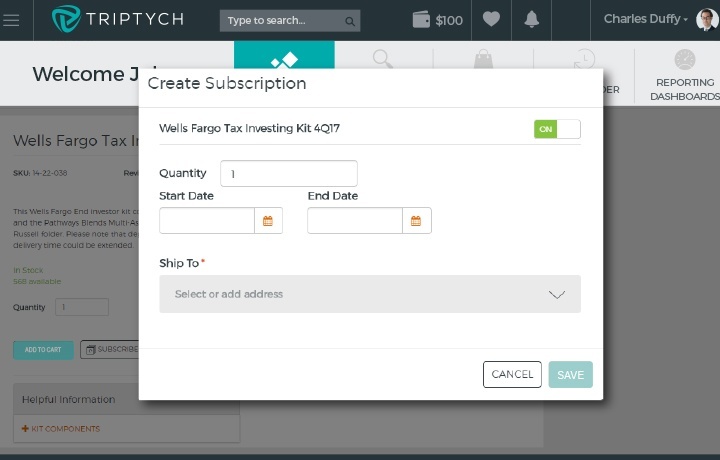 Triptych is channel marketing enablement tailored specifically for advisors to give them the freedom they need to close deals. Your marketing managers also benefit from the ability to measure the success of their content as consumed by the advisors. It’s sales and marketing alignment at its finest allowing you to stop wasting resources on inefficient processes that drain your budget. Help sales operate more efficiently with intelligent partner marketing. Your advisors will be able to find customizable, compliant content instantly, in the media of their choice. Aligning sales and marketing impacts the entire organization, from the legal team concerned with securities regulations impacting consumer messaging to the financial team understanding marketing attribution. Channel marketing enablement gets your entire team marching to the same beat. 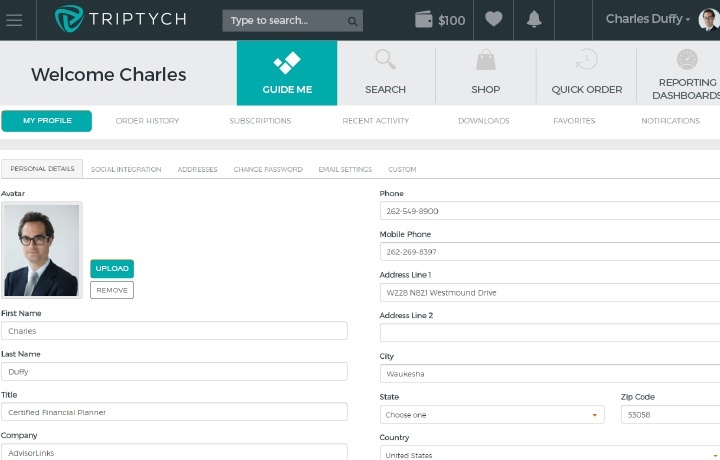 Triptych offers your advisor support team the ability to work at scale using cloud-based partner marketing automation. 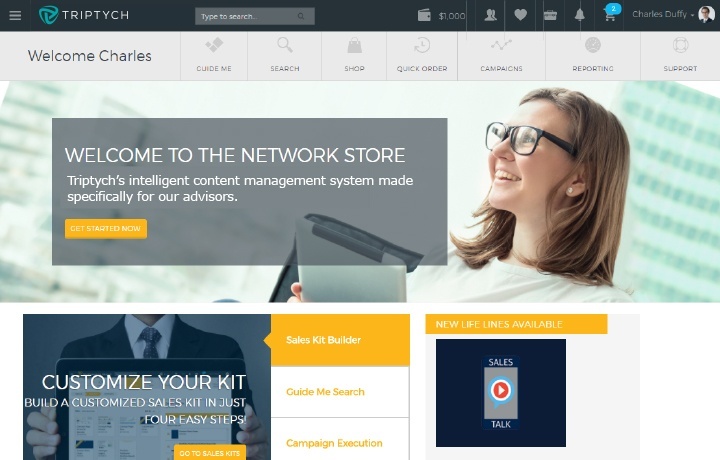 Think of this: five marketers creating customized content for 1500 advisors in your network. That is fun math! Better yet, bypass clunky compliance approvals by offering pre-approved content to keep advisors from creating their own content that may stray into dangerous territory. How dangerous? One out-of-compliance message could cost your organization millions in fines and legal fees. Even in your advisors’ fast-paced world, keep every piece of content aligned with the highest degree of legal compliance, built-in automatically, and delivered effortlessly across your entire organization. Your advisors are frustrated that they don’t have what they need to close deals with clients, and your marketing team feels the pressure to keep churning out content, even though they don’t have the data to know what works. 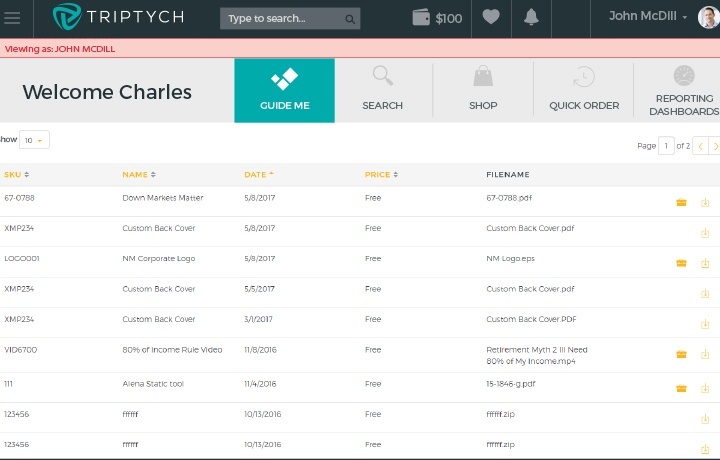 Channel marketing management with Triptych gives your advisors instant access to resources they can easily customize to fit the way they sell, and that speak directly to the needs of their clients. The icing on the cake? Real-time data tells your marketing team what is working so they can concentrate on creating more of what sells and less of what doesn’t. Ready for more details? Find out how Triptych’s cloud-based channel marketing automation platform can supercharge your advisors' force without straining your marketing team. If one agent personalizes a quarterly brochure or report, the cost is a drop in the bucket. Multiply that by hundreds of advisors in a large, distributed sales force and suddenly the time and resources of repeatedly creating, printing, and shipping add up. With Triptych’s marketing resource management, those quarterly brochures and reports are available in the cloud and automatically distributed on a subscription basis. That takes the weight off the advisor support team and increases efficiencies 10 to 1. Your branding team put a lot of thought into your organization’s image and messaging, so don’t leave it to the advisors to find you! By creating their own content in an easy-to-use toolkit, you are making the content work for your advisors—all while staying on-brand. Whether they’re selling a specific product or the entire line, you can be confident they’re putting your organization’s high standards in front of the client. Your advisors have room to customize content for their audience with on-demand assets that your team pre-approved. Imagine the efficiencies you can gain with a single cloud-based sales and marketing portal that recommends the right content and allows your marketing team to scale 10x. Now see it in action.